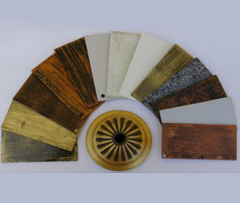 Examples of electro plated and hand painted finishes. A great many finishes including: bright, matt, solid and washed is possible. 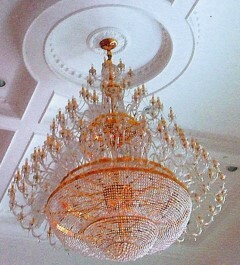 Example of a chandelier finished in bright gold electro plating. 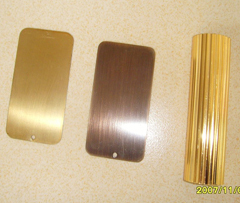 Examples of metalic finishes. brass, red antique brass and bright gold. 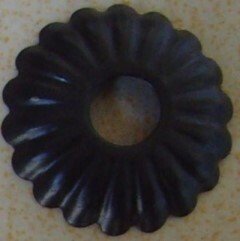 Example of a metal drip tray finished in black. 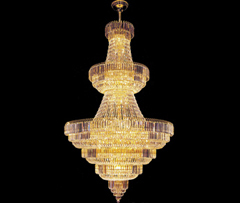 Example of a chandelier finished in Gold on the metal parts and with clear glass light arms. 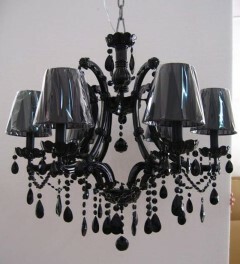 Example of a chandelier finished completely in black. Above are just some examples of the different ways a chandelier's metal parts can be finished. Throughout our website on hundreds of different chandeliers, wall lights, table lamps, lamp stands etc are demonstrated many more options. In effect, virtually any of our products can be finished any way you'd like if you would like further information please get in touch. View our "Finishes and Colours Available" for even more information.